Christiana Figueres, the United Nations climate chief, has said in a speech to the global coal industry that much of the world’s known coal reserves must be left in the ground, if we are to avoid catastrophic climate change. Figueres urged the coal industry to be part of the solution to climate change by quickly transforming itself, “for everyone’s sake”. She said it will be necessary to close older coal-fired power plants, to diversify into renewable energy, and to push forward with carbon capture and storage (CCS) technologies. The most important outcome must be to leave most of the word’s existing coal reserves in the ground. The UN climate chief urged the gathering of coal industry executives to honestly assess the financial risks of a so-called ‘business as usual’ strategy, to anticipate increasing regulation on the coal industry, growing finance restrictions, and diminishing public acceptance of continuing to burn vast amounts of coal. 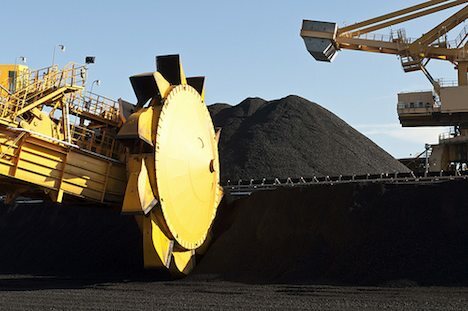 Later, Figueres reiterated that the coal industry needed to have a “major rethink and a major shift” in the deployment of its capital towards renewable energy. The United Nations climate chief has added to a growing chorus of calls for an urgent move away from burning coal, to avoid the worst of climate change and the bursting of a massive financial “carbon bubble” on world financial markets.